Thank for all the great reviews Imagine It couples! Cambur & Nick's Gervasi Wedding Published! Published in A Northwoods Wedding Blog! Selected as a winner of a 2017 Two Bright Lights Editor's Choice Award! Featured in Borrowed & Blue Wedding Blog! Two Bright Lights Editors Choice Award Winner! Imagine It Photography's New Studio! Featured in Home Confetti's Blog-Megan and Shawn's New Years Eve Wedding! The Club at Hillbrook-Chagrin Falls, Katrina & Nathan gorgeous wedding! Cleveland Wedding Photographers-Featured on Melissa Heart Weddings! Capturing love after the wedding! Proposal featured on Trendy Groom! Clay's Cavaliers Practice Facility Senior Session! Lauren & David's Beautiful Wedding! Alex and Sloane's Lakewood Engagement Session! Jim and Kieran's Cleveland Wedding! Matt & Danielle's Avon Lake Wedding! Matt & Amy's Blair Center wedding! Chris & Rose's Catawba Island Wedding! David and Bethany Imhoff's wedding! Fun senior session with Katie! Troy & Mallory Mercer's Wedding! Tom & Allison Dirham's Wedding! Lakeshore Ballet Theatre is opening a new studio here in the Avon/Avon Lake area. It’s amazing and I got the privilege of capturing the progression of it all! We photographed the girls for their new upcoming website and their Facebook page yesterday. But for today, here’s a peek at a few of their ballerinas! 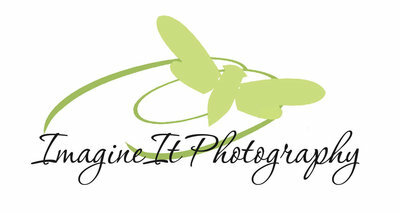 Imagine It Photography’s New Studio! Featured in Home Confetti’s Blog-Megan and Shawn’s New Years Eve Wedding!